While the current ranking systems are, for the most part, tailored to show how institutions are serving students who are already on the pathway to success, the critical metrics should be expanded to create a more representative overview of the industry. Institutional rankings today are focused on inputs, exclusivity and prestige. They’re based on assumptions that are not necessarily representative of the realities of today’s postsecondary space and they tend to ignore the students who compose higher education’s majority population. In this interview, Gregory Fowler shares his thoughts on what would underpin a more student-centric ranking system and discusses how the adoption of such a system would transform the way institutions operate. The EvoLLLution (Evo): Why is it so important for colleges and universities today to focus on creating access for non-traditional and place-bound students? Gregory Fowler (GF): Education—access to knowledge and training—continues to be one of the most empowering forces in society, and it is why America has privileged colleges for much of its history. 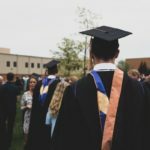 When you consider the role of colleges and universities in enhancing both the local community and larger society, nothing is more important than the responsibility to maximize the potential of each individual to make their unique contributions to society. The more access is increased, the more colleges and universities are able to fulfill their missions to change lives and societies and equip the next great mind for the next great human idea. It’s important to focus on the non-traditional audience because that’s where the vast majority of students are going to be. With as few as one out of every three degree-seeking students being an 18-year-old first-time college student, if colleges are to thrive they must adapt to the changing demographics. The only way that will happen is if the administrations and faculty commit to creating student experiences that help those other two students—the non-traditional ones—succeed. If colleges are going to remain relevant, they’re going to have to find ways to make sure they’re addressing the non-traditional student population. This is particularly important when it comes to students who are at a distance and restricted in their ability to get around, or people who are, for any number of reasons, too far from a community college or university campus to be able to drive there on a regular basis. As colleges and universities begin to focus more on non-traditional students, they have to deal with the fact that these students have less time available to them. Most non-traditional students have a full-time job and, in many cases, the time they’re going to have to do schoolwork is going to be outside normal business hours. Institutions have got to find a way to make sure they’re creating that type of access. This isn’t necessarily critical for the elite or Ivy League schools—they’re not going to be immediately faced with this challenge. However, more schools are beginning to deal with the fact that enrollments are down—particularly in the Northeast—and that they aren’t able to deal with the challenges of students who have to operate on different schedules. Unfortunately, institutional rankings today are focused on inputs, exclusivity and prestige. They’re based on assumptions that may not necessarily be representative of the realities of today’s postsecondary space and they tend not to measure the students who compose higher education’s majority population. Evo: Why is exclusivity such a coveted feature for colleges and universities today? GF: Exclusivity is not just important to colleges and universities. Martin Luther King talked a lot about this Drum Major Instinct—there’s a certain tendency for human beings to want to be a member of something that’s elite, something that everybody can’t be a part of, or something that only the “best” are allowed to join. There’s a belief that being part of an exclusive group somehow makes you better. In a lot of instances, colleges determine their value by measuring how many people they keep out rather than how many people they bring in. Unfortunately, that doesn’t just include traditional students but also students that are challenged in other ways. In the last couple of years I’ve learned how this affects students with disabilities. In many cases, the ability for these students to think outside the box and think creatively is unparalleled. However, colleges haven’t really focused on these students and think, “The people who have performed historically the best are the ones who are going to keep performing the best and therefore we want them.” They don’t try to figure out ways to support students who may need some additional help and have entirely different contributions to make to humanity. Evo: How does a student-centric approach to institutional management help colleges and universities support student success? GF: Keeping the needs and success of the students at the core of your existence is the only way to remain true to the societal obligations I just mentioned. In every interaction we ask our team to do what’s right for the student and the rest will take care of itself. In academics our goal is to maximize the likelihood of student learning in high-quality academic programs. Our first obligation to the student is to ensure that we live up to our promise that the programs they enroll in have been designed and reviewed by both experts and practitioners in that area of study. Not only are the outcomes and ways we measure those outcomes important to their long term success, but the learning environment that will allow them to master those outcomes includes all of the support they will need to succeed if they put in the effort. I am very pleased with the deliberate and thorough work that our team has put into the curriculum but it is in the first part of that goal statement that I have been most proud of SNHU. In every instance where obstacles have been placed in front of one student or the student body as a whole, our immediate priority has been to remove them. If administrators take that approach of focusing on what’s best for students, it could influence so many different aspects of the institution. Everything from how the curriculum is built to defining outcomes of programs—how do we make sure that those things are serving our students best? It also impacts how we evaluate faculty and whether faculty are building support systems for the students within their classes. The question constantly at the front of our strategic conversations is, “How can we help more of our students who are struggling meet the bar that we have set for them?” followed closely by, “How can we be better at this tomorrow than we are today?” Such a focus causes us to constantly consider all of our assumptions about everything from learning science to traditional policies and procedures that may be counterproductive. All those policies and practices will change over time if the administration decides that it’s going to focus on what’s best for students. Evo: Is student centricity a differentiator for institutions today? I won’t say that at this point it has reached epic proportions across the country, but we’re beginning to see a more reflective practice by institutions where they are starting to think about how what they’re doing is impacting their students. That goes for everything from class size to academic support, to compliance with the Americans with Disabilities Act. We’re seeing far more focus on these things than we have in the past. As universities become more competitive and as enrollment continues to drop across the country, you’ll see much more of that emphasis on, “How do we get them in?” Typically in traditional academia, customer service is a bad word because people immediately think about the customer always being right. But that’s not at all what I mean when I talk about customer service. When I think about working with students, I’m thinking, “How do we serve them best?” In the past, institutions would simply put something out there and say, “Either eat it or don’t.” We need to move past this. Evo: What are some of those key factors that you think really define the customer experience for today’s non-traditional students? Once you begin to do that it really has a big impact on helping students to succeed. Evo: How well are these efforts—to create access and support success—represented by some of the more common institutional ranking systems? GF: Student centricity is not particularly well represented in the surveys most people think of, though I have seen some modifications recently in some of them that suggest changes are occurring. With fewer traditional IPEDS students attending college, the rankings as they are defined are becoming irrelevant for the majority of students in the same ways that Nielsen ratings are less indicative of which shows are being watched or landline telephone polls accurately reflect voter behavior. In 2016, some of the most highly regarded surveys left schools unranked if, for example, SAT or ACT scores were not used in determining admissions or if there was a high proportion of non-traditional students. If anything, the rankings focused more on colleges who admitted students who were already likely to be successful and thus need less academic support. Only then, once those most likely to succeed have been admitted, do calculations such as how many are retained or how large the classes are come into play. In such a model, increasing access is counterproductive. When you’re starting off with just a select set of students you don’t have access to the full range of student experiences. If you simply ask, “How well do we serve and retain the top ten percent of students?” you automatically bias your answer. Right now, I don’t believe the rankings really focus on helping students across the board. Higher education systems would be different if the institutions and the rankings focused on the question of, “What support systems are available for students once they start to struggle?” You’d have a very different value set moving forward and, frankly, that’s what we should value. I want to be clear that I do not criticize schools for wanting to be highly ranked. Institutions and the people who run them are competitive and love being seen as the best. I go back to Dr. King’s speech about the Drum Major Instinct. He noted that we often define greatness by exclusivity, by ego. Sound familiar? The school that turns away the most students. The faculty member who gives the fewest A’s. Greatness of this sort, King argues, is really about self-importance. Instead, he goes on to posit, what we should value is our ability to help those who, without our help, are not likely to succeed. When you talk to graduates of a lot of institutions—but especially online institutions—about the things that helped them succeed, institutional support is often at the top of the list. Regardless of the academic experience, there are so many factors that come into play for students, particularly non-traditional students. Life happens. If you don’t have the support systems in place to help them through that—especially considering that for those students, education is often their top priority after family and job—then you’re not going to help them persist or be successful. Evo: What role should student centricity play in institutional rankings? GF: You get what you measure. It’s a simple as that. And if the mission of a college is to provide the best learning environment possible then at the core of any ranking should be data that demonstrates the school’s commitment to seeing their students succeed—not just inputs such as faculty salaries or alumni giving, but also in explicit evidence that shows there are established effective tools that support struggling students. Faculty-to-class size ratios, for example are only relevant if there is evidence that within a small class there is commitment to student success that goes beyond lectures to active engagement and interaction to ensure student learning prior to test time. Non-traditional students recognize that life is going to happen to them while they’re enrolled and they want to know how the institution will support them. Whether it is a writing center, counseling services, learning disabilities groups—how will the institution support them through whatever challenges they might face? Addressing those questions is critical for institutions. If the ranking systems are going to be relevant, they have to make sure that they value student centricity and focus more on the students who are going to struggle. The vast majority of the students we talk to are, for any number of reasons, afraid or uncertain about enrolling. They have all these concerns—particularly adult students who have been out of school for a while—and we need to take the time to help them. It’s not that they can’t succeed, the question really is how much value we’re putting into helping them be successful. 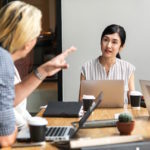 If the culture of the institution is centered on how the students are doing and what else can be done to help them succeed, administration and faculty behaviors as well as resource allocations should demonstrate that in every way. Right now, you don’t see student centricity reflected in the rankings, but if that were to change you’d have a very different system. Evo: Do you think that we’re going to see a day where the most popular ranking system in use will focus on these more student-centric aspects of the student experience as opposed to the more institution centric measures that are currently being used? GF: Through simple market analysis and through Clayton Christensen’s disruption model, you see that these things will have an impact over time. I’m not saying that we’re going have a revolution in education tomorrow, but you can certainly see the vast changes that are happening within the systems. With the continuing decline in numbers of traditional students and the rising numbers of non-traditional students, the value system will have to change if it’s going to stay relevant. Of course there are many types of colleges and universities; indeed many universities exist at least as much for the faculty research as for student learning which is a great thing. However, metrics for those rankings should be more nuanced than simply grouping like schools together but still applying the same metrics if the goal of the university is first and foremost to ensure students are learning. Evo: Is there anything you’d like to add about the importance of student centricity for today’s colleges and universities and what it take to deliver that student-centric experience? GF: Student centricity requires institutions to be far more reflective and deliberate about their processes than some institutions are used to or even comfortable with. It really is a challenge to get institutions to stop their traditional approaches to institutional management. Higher education right now is like a plane in the air, and we’re trying to make changes as the plane is continuing to fly along. However, if you don’t make those changes, institutions will start coming down to earth. Institutions have to continue to be dynamic, and that goes for everything from the accreditation process to school identity. Frankly, given that a lot of these institutions are in places where students are no longer going to be able to drive to—particularly in the middle of the country—the question has to be how are they going to stay relevant and solvent moving forward. As long as institutional rankings focus more on inputs than student success, it will be immensely challenging to create a ranking system that is relevant for today’s learners. Exclusivity is not an indication of quality—instead institutions should focus on creating more access to support the success of more students. A central characteristic to student centricity is an institution’s capacity to support and retain students who are struggling.